Like the Telstra Easycall 2, the Doro PhoneEasy 410s is another phone that has been targeted at that segment of the market that is wanting to have a less complicated, easier to use mobile phone. 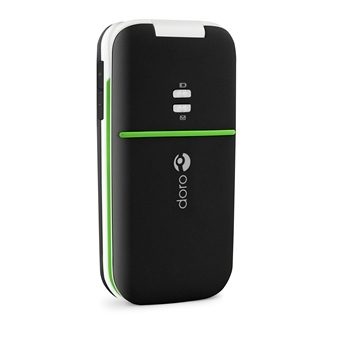 While the Telstra phone is of a candybar design phone, the Doro has a clamshell design, folding up neatly into a small, pocketable package. 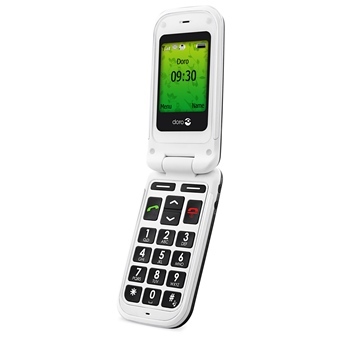 Like the Telstra, this is a phone that offers all of the basic features that you expect from a feature phone, but in a package that has been designed for those whose eyesight is no longer that of a 20 year old. This phone offers a little bit of different functionality than the Telstra phone. For instance, where the Telstra phone sports a torch, this one has Bluetooth. While both have FM radios, I highly doubt that this would be a decision making point in the minds of the potential buyers. Basic functionality performed as expected, with phone calls and messaging all easily achieved. Mind you, I was unable to find a way to turn off upper case while texting. While I can see that in some circumstances, this would be a useful feature, it would be nice if this could also be turned off, and messages then be sent using mixed case letters. In use, although I found it easy to use, and it seemed to me that I found it quicker to learn how to use its various functions, for some reason I found that I didn’t quite like this one as much as the Telstra, and I can’t really explain why this was the case. More tangibly, this phone uses a dedicated power connector. I see no reason why, today, a mobile phone should not be using a USB connection and thus making it easier for their users – of all walks of life and age rages – to use common components for functions such as recharging. But that brings me to battery life, which is exemplary. The phone’s specifications claim 280 hours standby time, and I see this as being a reasonable estimate, based upon my experience. All in all, this another good phone, and one that is very well suited to those who may have a need for a phone with bigger buttons and a bright, clear display.